Check SERVER_WITH_SCCM_PROXY is available via network connection. Open Services (Click Start->Administrative Tools->Services). 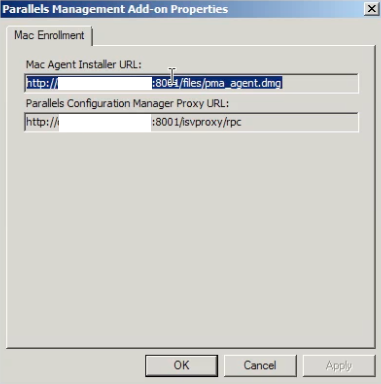 Find Parallels Configuration Manager Proxy service. Check if status is Running.